As spring and summer approach, you will want some shoes that can give your feet the support they need to keep up with your busy life. Lord & Taylor is having their friends and family sale right now, offering an additional 30% off almost everything when you use the promo code FRIENDS. 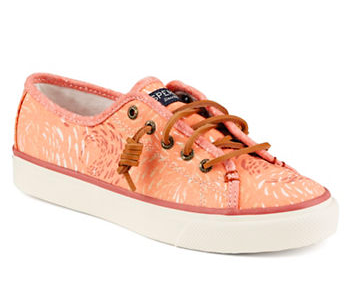 These Sperry Seacoast Lace-Up Sneakers are already on sale for $39.99, but with the additional 30% off they only come to $27.99!! Free shipping is offered on any orders over $99 with free in store returns. Sizes are limited, so hurry!